This introduction highlights key topics significant to contemporary discussions of diaspora and stressing the substantial impact these migratory shifts have on global capital. Jana Evans Braziel is Associate Professor of English and Comparative Literature at the University of Cincinnati. 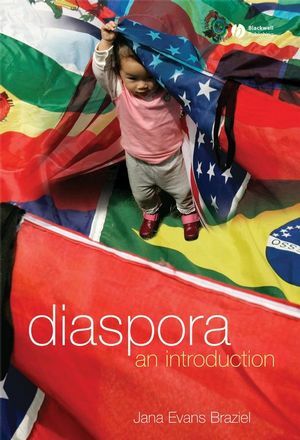 She has co-edited Theorizing Diasporas (with Anita Mannur, Blackwell, 2003). Preface: Between Homelands and Homelessness? New Diasporas, Global Refugees. 1. Diasporic Workers, New Global Economy. Case Study: "La Frontera": Transborder Migrations, Mexican-American Diasporic Workers. Case Study: Filipina Working Diasporas in the US, Hong Kong, and Italy. Case Study: Outsiders Within: Les Beurs and France’s “Crise des banlieues”. Case Study: Barred Entry: Haitian and Southeast Asian Asylees in the US and Australia. 6. Transnational Activism, Diasporic Arts of Resistance. Case Study 1: Troubled Waters, Dam Nation, Grassroots, and Transnational Indian Diasporic Resistance: Whence Narmada?. Case Study 2: Haitian Diaspora and Transnational "Tenth Department" Activism. Case Study 3: Filipina Maids in Hong Kong.